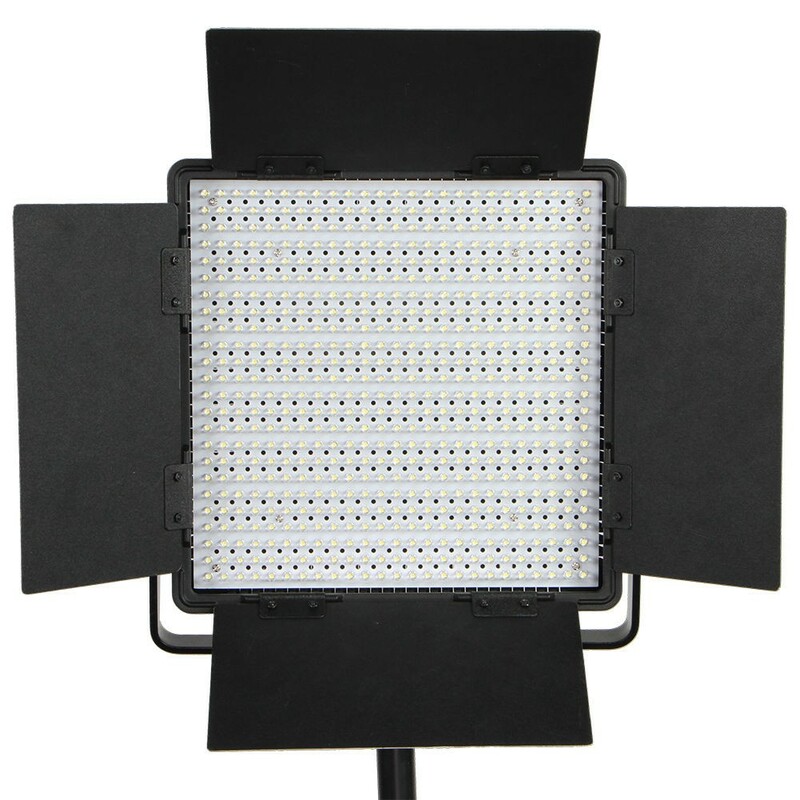 Bi Color 600 LED Studio Light is a 3200K-5500 Kelvin full spectrum tungsten or daylight balanced LED panel light that is great for photography or video. It has 600 long-lasting individual LED bulbs. This lightweight unit is great for on location videography or photo shoots. The 600 LED light panel produces a longer illumination than normal compact fluorescent lights, because each LED bulb produces a 30-degree angle beam, directing the light further forward. Bi Color LEDs provide a greater versatility and convenience without the hassle of filters to change the temperature. Bi Color LEDs have two dials on the back of the panel to adjust the intensity of light emitted at either 3200K or 5600K. Our LEDs are split, half of the panel being 3200K LEDs and the other half being 5600K LEDs. Adjusting the dials will dim the respective LEDs to control the color of the light. Adding 3200K will warm your light output. Vice versa, adding 5600K will add blue to your light output. With both dials turned the result will be a combination of both.